Many people are content if they can get a horse to move, turn, and stop. Others want more. Some regard the horse as a device to pull a wagon or work cattle. For others, the horse is a tool in achieving victory over competitors in contests of skill and agility. For a few, the horse is a living partner in the achievement of a work of art. This art may take the form of high–level dressage or cutting cattle. Whether artist, craftsman, or hobbyist, one must study his area of interest in order to improve his skills. The horse may be thought of as an instrument developed and honed by the rider for use in producing art. 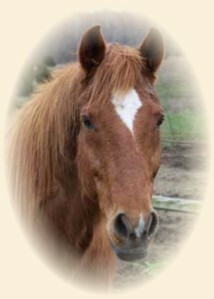 But to the true equestrian artist, his horse is more than this. Such a rider does not think of his horse as an instrument but, rather, as a partner in this work of art. As a true partner, the rider tries to help his horse develop to the best of his ability. At the same time, the rider must strive to hone his own skills in order to maintain his part in the partnership. Some riders think they can perform well if they simply purchase a horse that has been trained to high levels by a competent trainer. This is like a musician who thinks that purchasing a well–crafted instrument will make him an accomplished performer. But just as a musician must know how to play his instrument and must practice to develop his skill, so a rider must both study his craft and work to develop his skill. A better analogy is that of dancing partners. Both partners must have studied and practiced their craft — perhaps individually but certainly as a couple — if they hope to achieve a high level of performance. The rider, as the lead partner in the dance, must assume the responsibility of putting forth even greater effort than his partner. The lead partner's responsibility is to compose the work, prepare a program of development for both himself and his partner, and gently guide — not force — his partner during the performance. True art can neither be mechanically produced nor forced. While it takes great discipline to develop the necessary skills, the performance itself must flow from the performer's inmost being. One's skills must take the form of natural expression appearing as if done almost without effort. While few people ever achieve the level of performance where they are clearly recognized as artists, this does not mean one should not try. 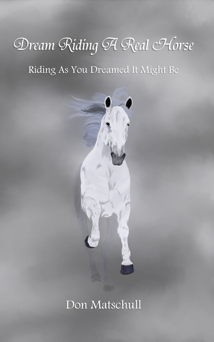 If you really want to learn to ride and train a horse well, read! Thousands of books have been written about horses. Topics include: riding, training, care, and just about any other topic you could imagine. Don't become overwhelmed by the number of texts available. Just start reading, enjoying, and learning from the texts one at a time. Nobody says you have to read them all. On this site, I've listed some of the books in my personal library. In the book lists, I've tried to provide the title, author, date of publication, and publisher. This is sometimes hard to figure out. Does the title include the other comments on the cover? Do you include apparent ghost writers, compilers, or translators? Should you go by the initial publishing date, the latest date, or the copyright date? Which of the several companies named is the actual publisher? series of books. In these books, Martin Diggle has compiled thoughts of various recognized masters of riding and training. It is helpful to be able to compare in one book the different methods suggested by these riders and trainers. 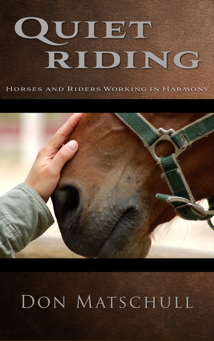 These books help the reader understand that working with horses is more an art than a science. Add to that the fact that you are dealing with a relationship between a particular human and a particular horse. Given this understanding, you can see why it is good to know a number of techniques. If one does not work, you have another to try. Another book of this type is Anne Wilson's Top Horse Training Methods Explored. This book includes interviews with a number today's popular trainers. Wilson even tries to get these trainers to comment on one another's techniques. While this book can just scratch the surface of each trainer's methods, the comparisons and contrasts are enlightening. I would also recommend reading On Horsemanship by Xenophon. Xenophon was a Greek general whose writing dates back to about 400 years before the birth of Christ. While some of the techniques recommended such as using your spear to help you vault onto your horse do not apply today, it is interesting to read of some things that are still applicable. Not all of the books listed have links to reviews. As I reread books in my library or purchase new books, I hope to provide more reviews. In addition to the links to reviews, I have tried to provide links for those wishing to purchase a copy of the book. Some of these links are to more recent versions which may be reprints or may include new or expanded information. I encourage you to read my reviews first to get an idea whether the book will be of interest to you. Please let me know if you find problems with any of the links. Authors who wish their books listed on this sight may send me a copy of the book for review. My address is listed on the contact page.